Embodying Innovation. the Graduation Show. 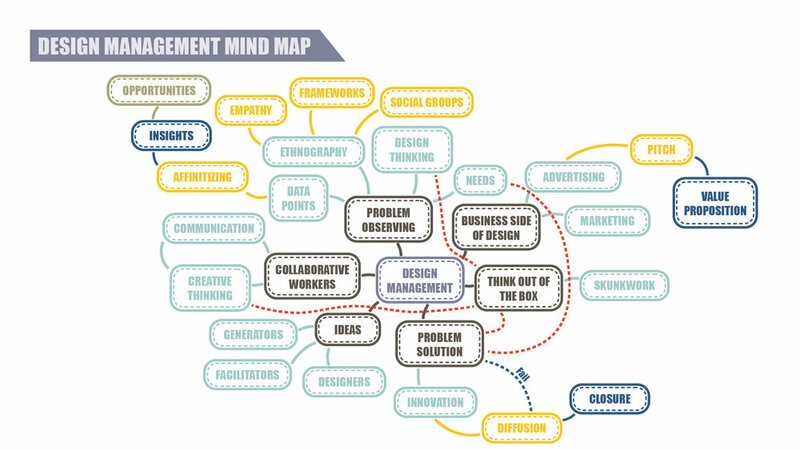 We decided to choose SCOT (Social Construction of Technology) theory as a lens to explain what Design Management is. The first thing we did was research. A literature review helped deepen our understanding of the theory. Primary research, interviews and cultural probes helped us understand the perception of The Graduation Show among faculty and students. Models and mind maps were developed to synthesize the findings of primary and secondary research as well to define the user group. We developed insights by using metaphors, mantras, stories, images, and contrasts that were then used to create immersive experiences. We used the Crazy 8’s game to ideate and used the SCOT theory and Design Management concepts (communication and collaboration) as a reference to select the most appropriate ideas. We presented our ideas to the class to get feedback as well as select the ones we wanted to use for the show. 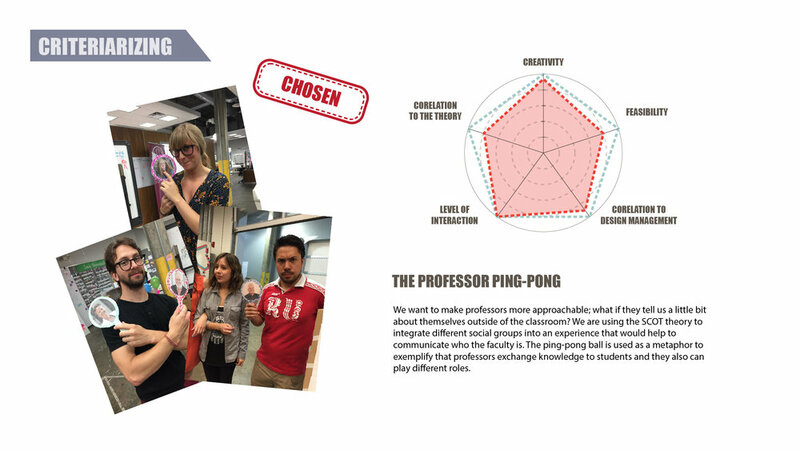 Three of our ideas were selected for the Graduation Show: The Professor Ping-Pong, What does it mean? 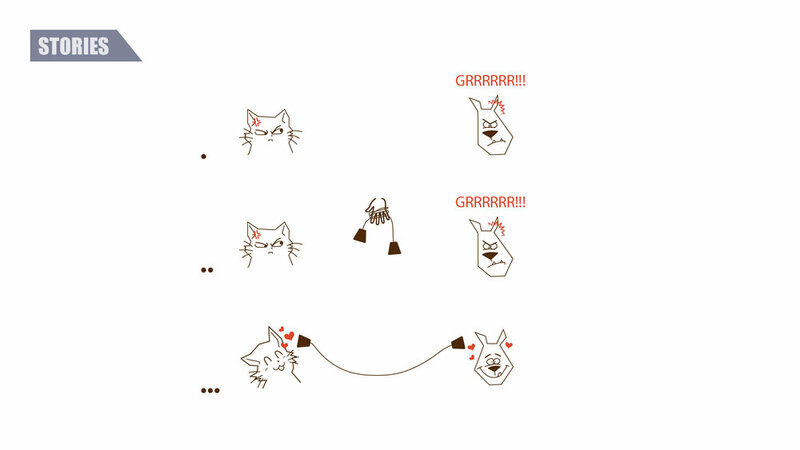 --- The Language Box, and The Giant Hash-Tag.